Exploring Autodesk Revit Structure 2014 textbook explains the concepts and principles of Revit Structure through practical examples, tutorials, and exercises. This enables the users to harness the power of BIM with Autodesk Revit Structure 2014 for their specific use. In this textbook, the author emphasizes on physical modeling, analytical modeling, rebar modeling, and quantity scheduling. Also, the textbook covers the various stages involved in analyzing the model in Robot Structural Analysis software. This textbook is specially meant for professionals and students in structural engineering, civil engineering, and allied fields in the building industry. In this textbook, special emphasis has been laid on the concepts of structural modeling, which have been explained using relevant graphical examples and illustrations. In this textbook, the tutorials and exercises, which relate to the real world projects, help you understand the usage and abilities of the tools available in Autodesk Revit Structure. Along with the main text, the chapters have been punctuated with tips and notes to make various concepts clear, thereby enabling you to create your own innovative projects. This textbook consists of 10 Chapters that are organized in a pedagogical sequence covering the Basic Structural Elements, Annotations, Schedules, Dimensions, and Views. 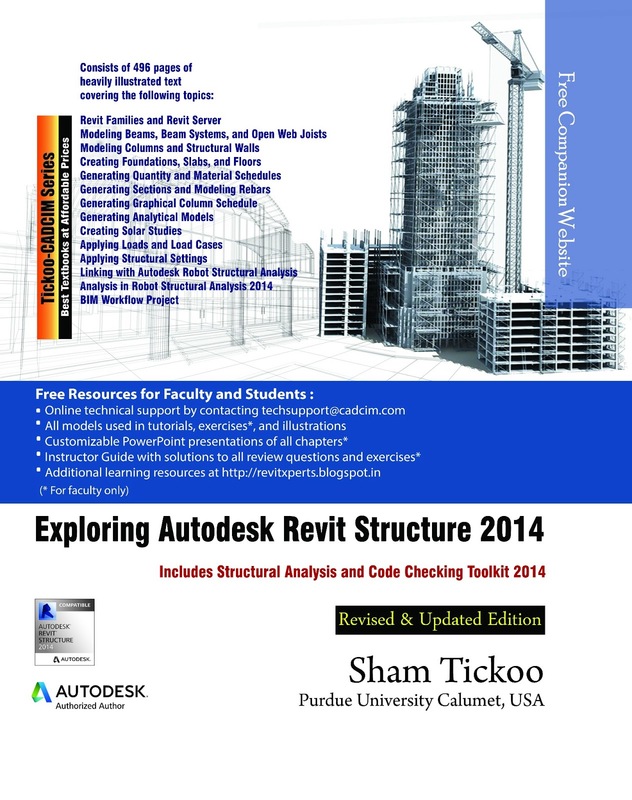 Each chapter provides a detailed explanation of the process and tools used in Autodesk Revit Structure.